Dr. Louis has an array of educational and working experience from secondary schools, Universities and corporate America. 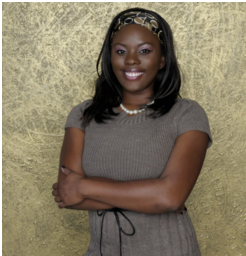 She's the CEO of Atlanta Couple Therapy (Formerly, Gifted Counseling) and a Licensed Psychologist. She's available for motivational or inspirational speaking at community, corporate, church, educational, or non-profit events. Her insight has been utilized in radio, national conventions and on the Internet. She is a sought after authority on topics such as improving relationship satisfaction, managing chronic pain, insomnia, spirituality, and navigating the challenges of infidelity. As a former educator, she taught at the University level. Her teaching and lecturing experience range from work in courses such as Counseling Skills and Family Counseling. She has presented at professional conferences an array of topics including intimacy, infidelity, divorce, trauma, and counseling methods. Dr. Louis is also known as an expert in Group Therapy, leading large and small groups focused on stress reduction, divorce recovery, insomnia, relationship building and interpersonal skills. As a motivational or keynote speaker, she enjoys delivering messages on themes like interpersonal relationships, leadership, life meaning, becoming our best selves, and coping with stress. Her clinical work research and personal life experiences confirm her work as an expert speaker. If you would like to inquire on Dr. Louis’ availability as a motivational speaker or educator for your group or event.